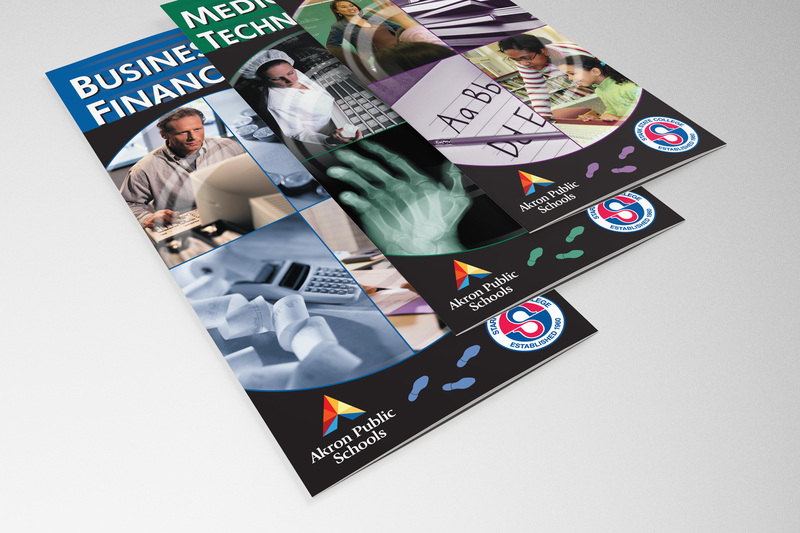 Akron Public Schools boasts a vast and extensive career and technical education program. Their challenge was how to deliver information about each of their programs in a consistent and informative way that piqued the interest of students and parents alike. As the programs were organized into six distinct categories, we proposed a color coded system so students could easily distinguish the programs that interested them. 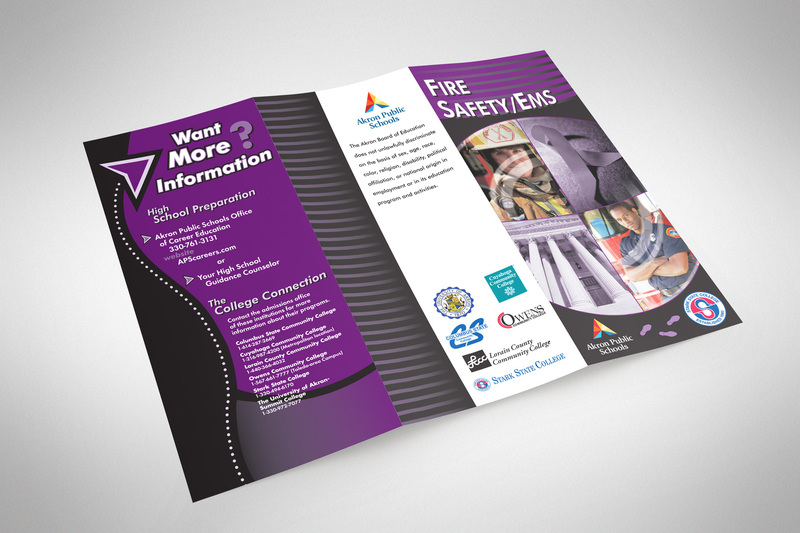 We organized the content of each brochure into simple “steps” from high school to college and carried the “Pathways” theme through to the visual design.